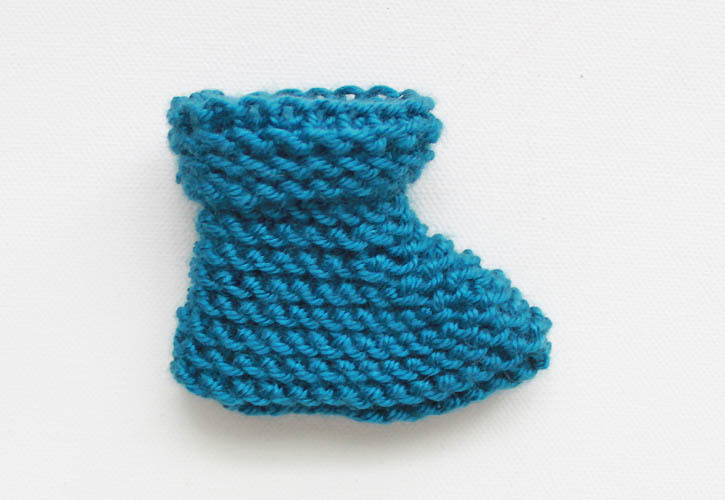 A few weeks ago I posted a knitting pattern for baby foldover booties. It got such a great response (thank you!!!) that I figured I’d post another. 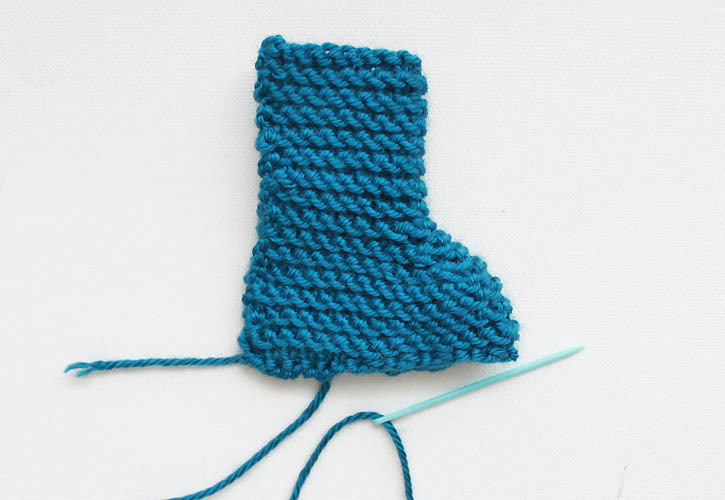 This pattern for Easy Knit Newborn Baby Booties is just as easy to make as the foldover booties- no complicated heel shaping or working with double point needles so it’s great for beginners! Cast on 31 stitches. Knit 8 rows. Knit 12 more rows. 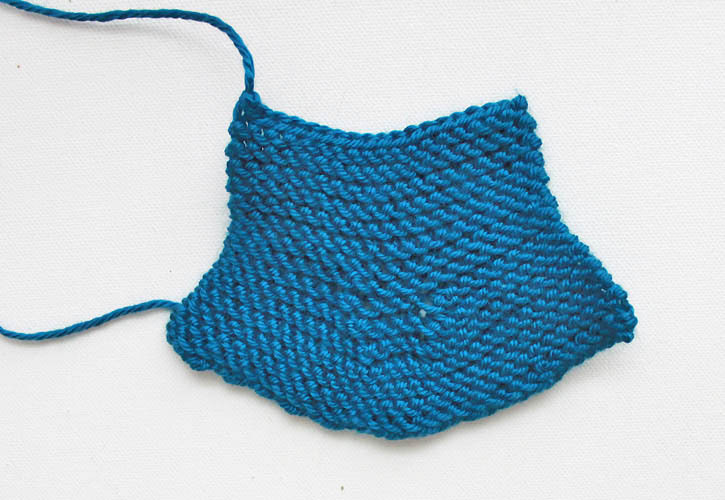 Bind off loosely. I cant wait to knit these for my newborn Grandson Charlie…Thankyou for Sharing!? I plan to knit & send these to many areas of the world where they are needed. This will be part of a church project where we also knit other articles that are needed. Thanks for sharing your pattern. I would like to share with others. 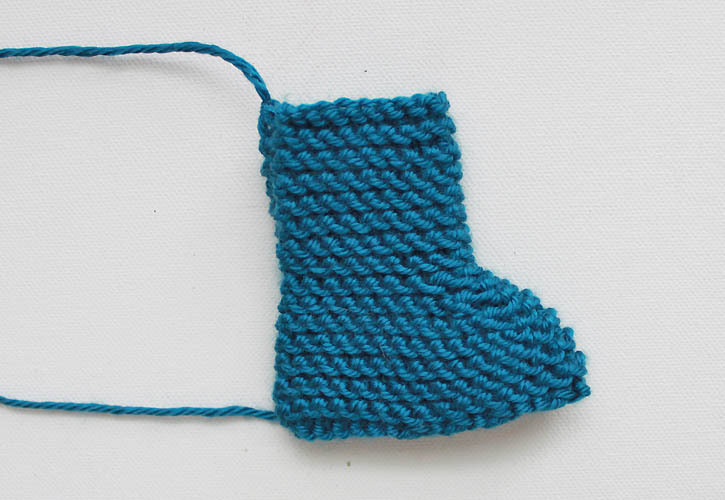 Would be awesome to be able to knit the booties on a knitting loom. Also yo be able to knit them in all sizes. God Bless!!!!! Thank you for sharing such an easy pattern! Do you by chance have this pattern in child and adult sizes! 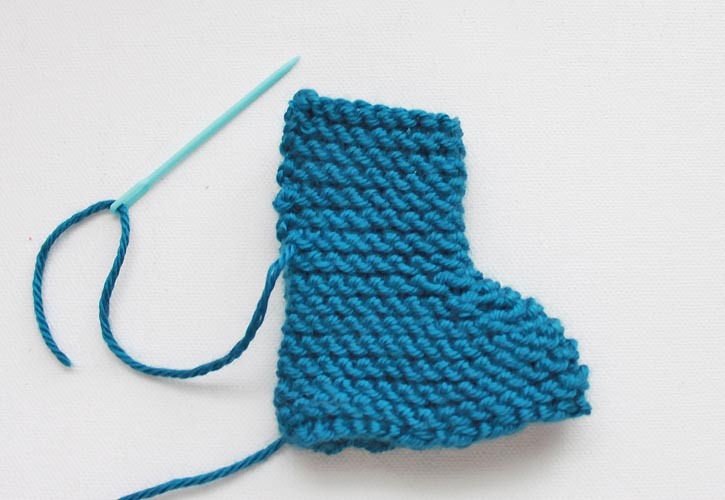 Nevermind, I found the adult slipper pattern…At the top drop-down menu, under "Knitting Patterns" ;). Thanks again for all of the lovely, free Patterns! Thank you so much for sharing this cute and easy pattern. Kind regards from the EU. Thanks for such an easy pattern , quickly knitted a pair last night watching TV . Love the pattern , so quick & easy . These are brilliant! A non knitter like me managed these with no difficulty. Thanks for sharing this pattern. Tnx..i will try making this for may baby!! This is great! Wondering how to adjust for a slightly bigger baby foot? If you only want them slightly larger I would suggest going up a needle size. I am not an experienced knitter. 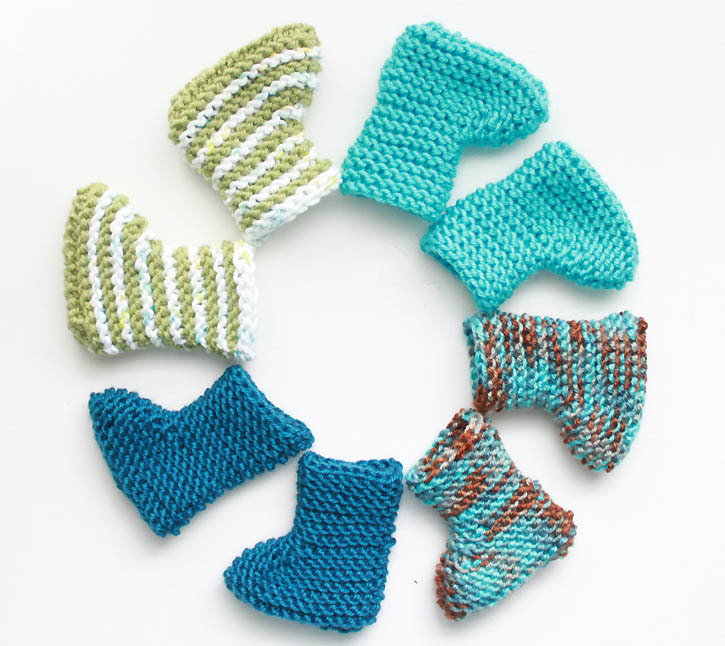 I have been looking for a pattern that was not complicated to knit booties for my grand-daughter. She has had a foot amputated and this style of bootie, with the longer leg, are the best kind for keeping on her leg. Thank you for sharing. Can't wait to see how they turn out. If I want to make them bigger, I think I can increase this pattern without much difficulty. Would be ok if I put your pattern in our village newsletter as we are knitting baby booties for our local hospital to give to new mothers. Thank you so much for this! Every other beginner pattern was way too complex for my scarf-level skills 🙂 I have a successful bootie for my new niece!